Synopsis (from Amazon): CeCe D’Aplièse has always felt like an outcast. But following the death of her father—the reclusive billionaire affectionately called Pa Salt by the six daughters he adopted from around the globe—she finds herself more alone than ever. With nothing left to lose, CeCe delves into the mystery of her familial origins. The only clues she holds are a black and white photograph and the name of a female pioneer who once traversed the globe from Scotland to Australia. One (or more) Sentence Summary: My favorite Seven Sisters series book so far! I didn't care for CeCe in The Shadow Sister, but I loved her in The Pearl Sister. We see such a different side of CeCe in this book. Once again, we are taken on a journey of one of the 6 seven sisters and their discovery of their past. Upon Pa Salt's death, each adoptive sister is presented with clues to their families history. We are able to read "current" day along side the past. I loved how the two stories blended into one book. Each story had me wanting more every time I turned a page. I didn't want to leave one story, even though I couldn't wait to get back to the first story. Another reoccurring theme is how strong the women are in both stories. My kind of book! The story of Kitty and the twin bothers still has my mind twirling. We are tossed some really big twists in both stories. I wasn't expecting it and it is so good (no spoiler here!). Of all my "historical" characters, Kitty is by far my favorite. 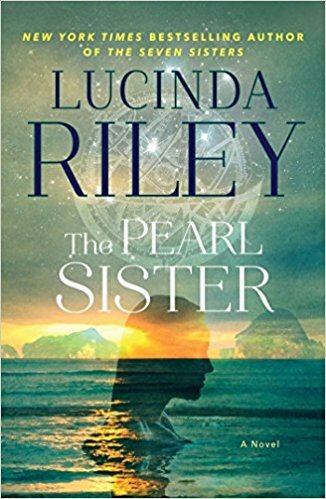 The Pearl Sister is a must read in The Seven Sisters series! Would I Read Other Books by the Author: I have read all the books in the series and can't wait for Book 5! 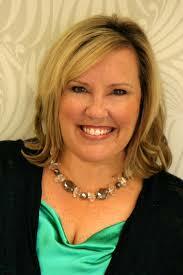 Lucinda Riley is a New York Times bestselling author of sixteen novels, including The Orchid House and The Seven Sisters series. 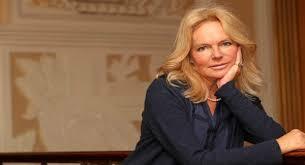 Her books have sold more than eight million copies in thirty languages globally. 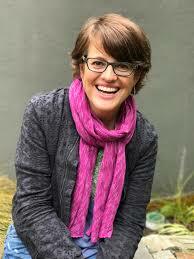 She was born in Ireland and divides her time between England and West Cork with her husband and four children. 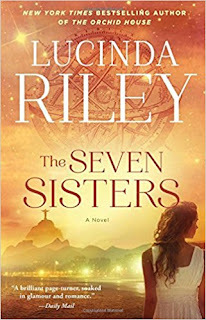 Visit her online at LucindaRiley.com and learn more about The Seven Sisters series at TheSevenSistersSeries.com. Synopsis (from Amazon): In this spellbinding novel, two independent women—separated by a hundred years but linked by forces larger than themselves—discover the secrets of their birth in the spellbinding third book of an epic series by New York Times bestselling author Lucinda Riley. One (or more) Sentence Summary: Star is the third sister in the seven sisters. The series is about 6 adopted sisters that are given the chance to learn about their ancestors based a clues their Pa Salt left upon his death. Star's story takes us to London. I love London and stories that take place there. Once again, there are two parallel stories: Star's her journey after the death of Pa Salt (her adoptive father) and into Star's journey into her past and her family. While I liked Star's journey it didn't keep my attention. However, Flora's story made me want to keep turning the pages. It did reminded me of Downtown Abbey (probably the setting). Flora I think is one of the strongest women in the series so far. I also enjoyed how the events that took place in Book 1 and 2 were woven into the story. 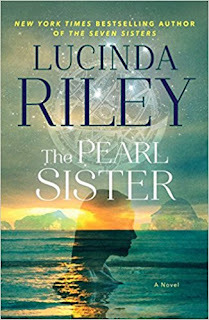 Would I Read Other Books by the Author: I have read The Seven Sisters Book 1, The Storm Sister: The Seven Sisters Book 2 and ready to read The Pearl Sister: The Seven Sisters Book 4! Synopsis (from Amazon): When Olivia gets news of her best friend Dan’s fatal car accident, her life is shattered. Consumed with grief and struggling to find any meaning or purpose to life, she trudges along with a gaping void in her heart. Finally, when her frustration reaches its peak, Olivia decides to put her trust in the depth of friendship the two of them shared. That trust finally allows him to breakthrough to her, and Dan begins to guide Olivia through the twists and turns of her life, leading to something new and entirely unexpected. One (or more) Sentence Summary: Beyond Believing starts out so tragically, however, it is needed to set the tone of the story. Olivia and Dan have such an amazing friendship and he is always by her side, especially when she needs him the most. I love how she stands up for the a large company and does the right thing. I was sorry that it caused her career to implode as she did the right thing. As she runs to California to her cousin Garrett, it changes her life for the better. 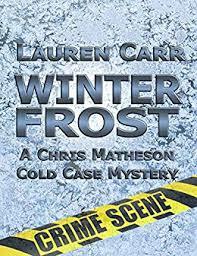 This is a very easy read with wonderful characters and a great story line. I couldn't get enough of Olivia and her story. At the end of every chapter, I had to determine if I had time for one more chapter. It was such a hard choice. I enjoyed Beyond Believing so much. 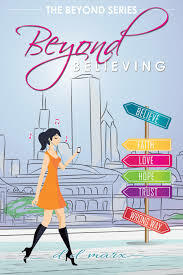 I recommend purchasing Beyond Believing. If you are looking for a bookclub book, this would be a great choice. Would I Read Other Books by the Author: Absolutely, I am staring the next book in the series, Beyond Love. 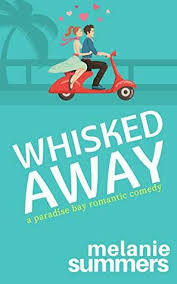 Synopsis (from Amazon): Ally D’Aplièse is about to compete in one of the world’s most perilous yacht races when she hears the news of her adoptive father’s sudden, mysterious death. Rushing back to meet her five sisters at their family home, she discovers that her father—an elusive billionaire affectionately known to his daughters as Pa Salt—has left each of them a tantalizing clue to their true heritage. One (or more) Sentence Summary: The Storm Sister is the second book in the Seven Sisters series (The Seven Sisters, Book 1 review). I very much enjoyed the story of Ally and learning about her history. I can't believe Ally had to go through so much lost. The second story within The Storm Sister is Ally's history. The story takes us to Norway to discover Anna and the music of Grieg. I really like how Lucinda Riley goes back and forth between the two stories. 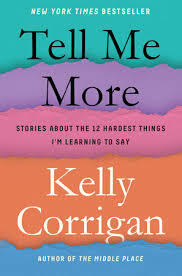 The stories are so well described you feel like you become part of the stories. She leaves me wanting more. 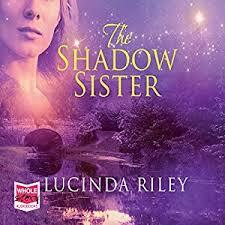 Would I Read Other Books by the Author: Yes, I am now reading The Shadow Sister: The Seven Sisters Book 3. Synopsis (from Amazon): The first book in a major new series from #1 internationally bestselling author Lucinda Riley, author of The Midnight Rose—hailed as “an extraordinary story [and] a complex, deeply engaging tale filled with fascinating characters” (Library Journal). In this sweeping, epic tale of love and loss—the first in a unique, spellbinding new series—Lucinda Riley showcases her storytelling talents like never before. One (or more) Sentence Summary: The Seven Sisters is the first book in the series. There are two stories in one, which didn't take away from either plot. It left me wanting more as the stories switched. I really liked how Maia's Pa left all six sisters a clue to their heritage and Maia was the first to take the challenge. I am excited for the other books to follow and learn about each sister and their family background. Great story with a new twist I haven't seen before. 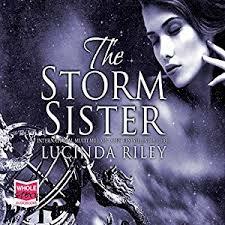 Would I Read Other Books by the Author: I am listening to the audio book of the second one in the series...The Storm Sister!